As temperatures have made their way to the 70s recently, I saw an end-cap display at the store (I won’t name names) with graham crackers, chocolate bars and oversized marshmallows. Recognizing that it was high-time to christen the firepit in the backyard for the season, I purchased all three items right then and there. I came home ready to roast some serious mallows and thought to myself how brilliant the store’s (ahem, Target’s) paired marketing was. The timing, the seasonality, and the idea that friends would join me in enjoying fluffy desserts outdoors collectively prompted me to grab one of each, without even bothering to look for off-brand options. “Damn,” I thought. This marketing stuff WORKS. And I’m not alone. Most people say that it’s easier to buy something doing it with a group mentality, that you’ll be sharing your purchase with others. And if you’ve ever been just slightly tipsy with coworkers at happy hour, you’ll know what I’m talking about. It’s pretty easy to end up buying a round (or more) of drinks when you’ve an audience participating with you. Not only is it easier to make a decision but we feel it is almost necessary. We’re creatures of recommendations and second and third opinions. We don’t go to a restaurant without solid Yelp reviews. We don’t stay at an AirBnb with only one star. We like to know what we’re getting into and whether or not other people are doing it too. 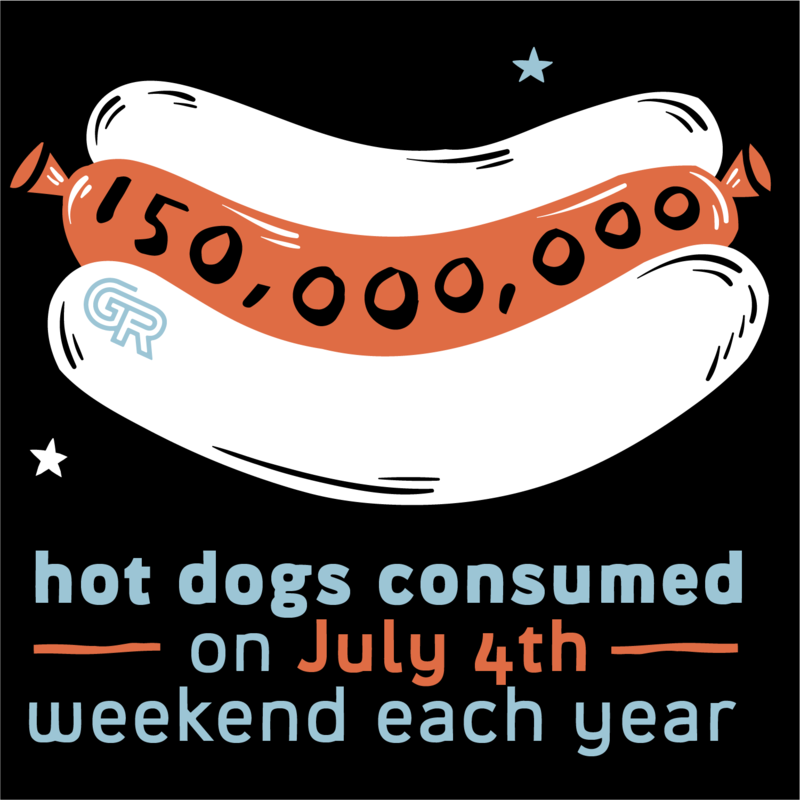 Today we find ourselves on the eve of 4th of July, a holiday which has seated itself akin to Thanksgiving, Christmas, Hanukkah, and the Super Bowl as one of America’s highest levels of consumption. You may be planning a picnic, trying out a Pinterest popsicle recipe, or firing up a new grill for the first time. Whatever the case, it’s likely you’ve visited a store to buy items in increased quantities that are not on your usual list for groceries. (Unless, of course, you bring home a bulk size sparklers on the regular). 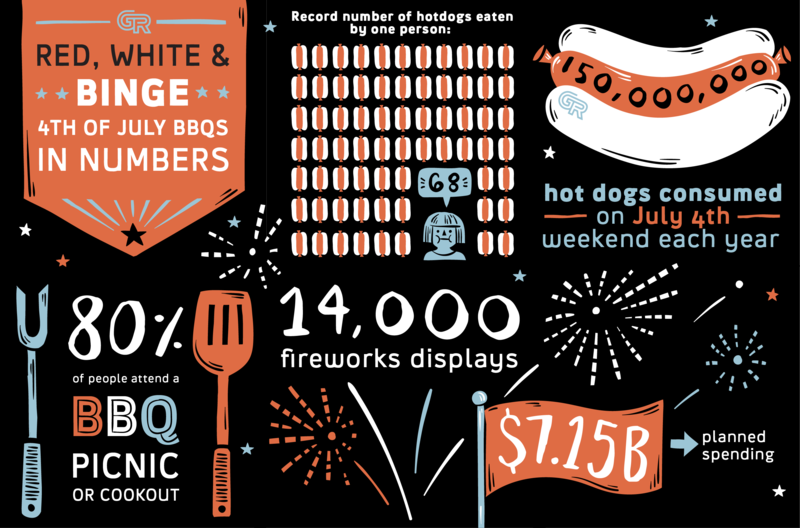 The traditions we have for the 4th of July have blurred into the buying trends and it’s hard to separate what’s more ritualistic—grilling out or buying a bunch of stuff. Either way, we’ve got the numbers to prove it. The total estimated consumer spending for the 4th of July weekend sits at $7B for 2017. Translate that into people, and it is predicted that almost 80% of people will attend a BBQ or picnic this year. These massive amounts of consumption in your wallet and in your belly go hand-in-hand with the idea of gathering. The numbers may seem overwhelming and hyper-materialistic, but when you think about it in terms of togetherness, it’s a pretty mongo movement. 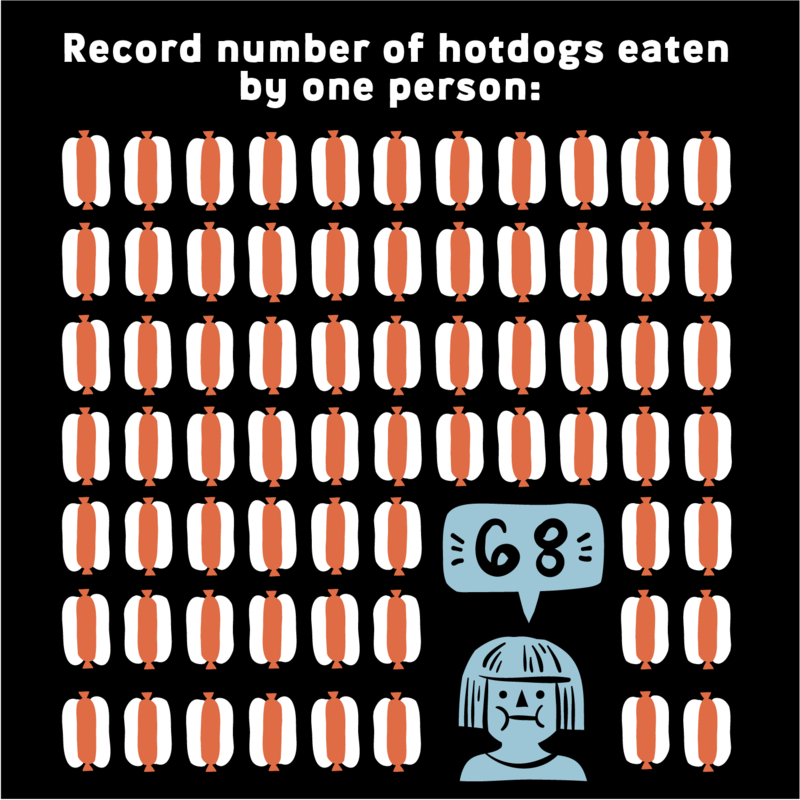 (Unless you’re the person eating 68 hot dogs, in which case—yikes). Molly Geoghegan is a writer, marketer, and film school dropout with naturally curly hair and an unnatural obsession for pizza. A Denver native, she hikes as much as possible and signs up for too many email newsletters. She has lived in Chicago, Paris, Dublin and currently calls Galway, Ireland home. Of course we have a newsletter! Copyright 2015-2019 GhostRanch Communications, LLC.